We sell our daylilies from May 1 through first week in September. 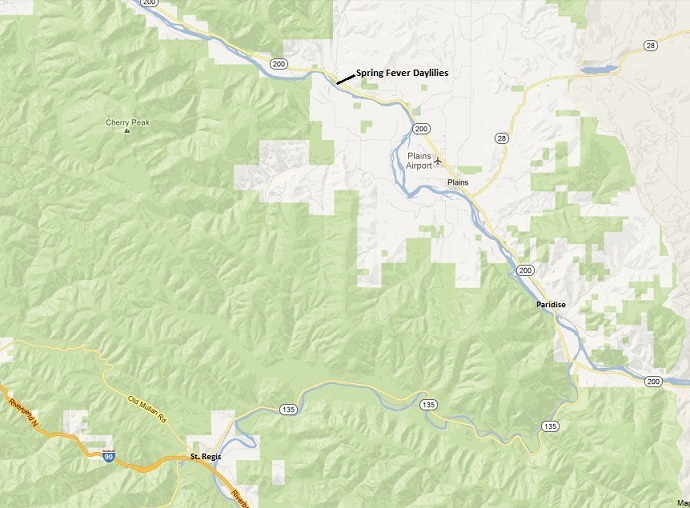 In order for us to give you the best service, we ask you to call ahead to make an appointment: 406-826-3214. 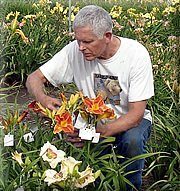 We can give you a tour, answer your questions, and help you choose your daylilies. For your viewing pleasure, the best bloom time is mid-July through mid-August. Spring Fever Daylilies is located 7 ½ miles west of Plains, Montana on Highway 200, at Loys Lane, between mile markers 68 and 69.